Building a brand today is limited only by your imagination and determination. By utilizing a modern mix of marketing channels coupled with crowdsourcing content and influencers, learn how some of today’s most innovative brands in multifamily have mastered the art of creating emotional connections to consumers. GoDirect marketing is the way of the future, dive into the data that proves the theory that if you dance like no one’s watching, you’ll be sure to capture an audience. There’s no denying that technology has become a major component in reaching potential renters. As marketers, you rely on technology to help measure and track the success of a campaign, but the real ROI comes from turning a lead into a renter. So what can you do to increase these conversions? Utilizing technology for unattended showings can not only make your job easier, it will provide benefits outside of just the marketing department. Join SmartRent and a panel of industry-leading experts as they discuss how they increased their conversions and lowered costs with unattended showings. Resident engagement has become quite the buzzword in Multifamily over the past several years, but what exactly does it mean? It’s not a resident portal for rent payments, maintenance requests, and event calendars. It’s about building and establishing authentic connections with residents. Resident engagement truly is the new currency in Multifamily and this session will discuss how to maximize your own resident engagement strategy using a formula of 4 principles: listen, predict, personalize, and perform. Attendees will learn from a panel of experts through case studies and examples about how technology can help capitalize on the new world of resident engagement that goes far beyond traditional portals. Engagement can be between onsite teams and residents, resident to resident, or resident to service provider, all of which have a critical impact on the resident experience and the operational performance of the asset. This presentation will reveal the future of how property managers can maximize the value of this new currency through marketing, operations, online reputation, acquisition, retention, feedback and resident data. Chantelle and Ben are two savvy multifamily marketers who have a few questions about growing their reach while maximizing their budget. They have a few questions for Samuel Scott, Columnist for The Drum- Modern Marketing and Media, who will discuss the common myths and debunk the biggest lies in marketing. How do you focus on growth? How do you capture new, greenfield markets for your company? How would you think about structuring a department, a year-long campaign and the analytics behind it? How do we use new markets to avoid the mistakes of the past? Can we pivot to a new marketing method that provides accountability, utility and still be creative? 38% of residents are moving from one apartment to another and 21% of those are within one mile of current home... it is NOT your fault. Have you surveyed your renters to find out why they don’t renew with you? We did. J. Turner research queried 15,000 renters to find out why they moved out of their old place, or skipped over the place that came in second in their search. The owner wants to know the truth. We have the answers and will deliver a full report. Smart home deployments bring a new level of technical and operational complexity that challenges most organizations. We’ll ask volunteers to lead a question and answer discussion their lessons in discovery of partners, piloting, infrastructure, information security, resident reactions and supply chain management to flesh out the real world cost of innovation. Smart homes require unprecedented collaboration between operations, maintenance, sales, vendors, IT, marketing, residents and other contractors. Come learn in this fast summary session what 20 top CEOs say are their tech investment priorities for 2020, and why. With the emergence of new technology that can directly increase revenue, we are excited to learn how that’s impacted the traditional slow pace of change in multifamily. We’ll augment this research with an illustrative case study from a tech innovator that has moved past BI and CRM and is focused on incremental revenue and asset value creation from using 2019 technology. 3rd Party Management - Ripe for Disruption? AI can now pass the Turing test for leasing, short-stay property management companies can produce higher revenue than traditional annual leases and self-guided leasing creates the possibility for renter prospects to create their own great leasing experience - without a human companion. How will trends like these improve, change or compress the 3rd party management business? How can managers create a future where their skills are still valuable in a world of increasing automation? Multifamily marketers have struggled with lead attribution since Internet marketing became a thing. But the ability to track a prospect’s journey through multiple digital sources is now a reality. Now that we have the technology in place, what does this mean for marketing teams and their budgets? How do we go about evaluating our sources using multi-touch data? And how do we budget differently to improve marketing spend efficiency? This session will cover best practices for evaluating lead quality, budgeting effectiveness and more. We will continue the conversation from Part I and address the questions from the audience. Grab a bottle of wine from Surf City Grocers and meet by the fire pit. Saddle up to the bar at the Watertable and order drinks for you and your clients. Or dust the sand off your sandals and head to Pete's for margaritas. These no-host options are a great way to keep networking. Ask me anything with the leaders of the top internet listings services (ILSs) in the space. This is an opportunity for the audience to submit and ask any questions they have always wanted to ask. What does the data say about how renters search today over 3 years ago? Should I just do my own seo and ppc? What are the biggest challenges the ILSs face? Are we all bidding up the keywords? When will Google be an ILS? Will ILSs offer short stay in your UX? We know that testing and implementing new technologies is critical to operations success. 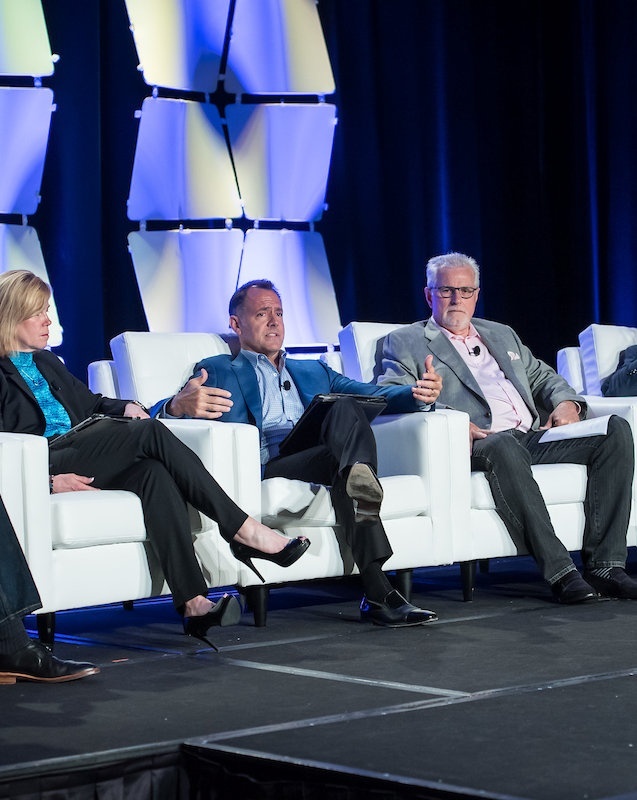 But some multifamily operators have literally flipped the script when it comes to embracing the power of technology, choosing to invest in third-party software rather than building it themselves. Forward-thinking operators are launching their own internal tech funds, with the intent to invest substantial sums of equity in technology platforms they believe can take their operations to the next level. With the cost of technology resources growing at an unreasonable pace, building in-house technologies to better serve residents and increase operations efficiencies is becoming cost prohibitive. But simply paying for the technology from a third-party provider limits an operator’s control of how the technology will work to maximize efficiency and resident satisfaction. Investing in the third-party platform gives operators the best of both worlds – the control to guide the technology development and the cost efficiency of not having to hire internal technology resources. These operator investors pilot the technologies internally, help develop the platforms to run smoothly with their operations, and set their company up for returns when these technologies are sold. This fireside chat with executives will discuss the decision-making process behind the technology fund, the logistics behind a fund of this nature and how they’ve seen their organizations benefit because of it. We’ll ask Terry to discuss how the next web evolution is a non-linear break, and how AI is being used to create new, higher-yielding experiences for travelers. Our hope is that his insights into the parallel world of travel will spark creative and tangible visions for AI in every channel that searching renters use to find a new home. Wayblazer is a pioneer in interactive advertising for branded locations. It’s not an advertising network. We’ll spend the time with Terry re-thinking advertising as an experience, and not a destination. We’ll leave thinking differently about communications channels and why Instagram, Facebook and other lifestyle sites are the new advertising venues, and how top thinkers are investing in better conversational experiences that lead to sales. Terry serves on the boards of Boingo, Smart Destinations and Camping and Education Foundation. He has previously served on the boards of Entrust, Overture, La Quinta Hotels, Luxury Link and EarthLink. Gary and his team provide cutting-edge customer tracking and experience analytics in shopping malls, retail stores and destination lodging. From this session, you’ll be inspired with their SaaS in-store customer tracking system that includes video and camera tracking customized to each location. They combine customer movement data with point of sale data, and external data such as the weather to make optimization recommendations around layout, design, merchandising and staffing. In any environment where space is at a premium, their analytics help property owners use wifi beacons, cameras, infrared, facial recognition, and other technologies to build a rich understanding of how to profitably optimize what customers want, in order to drive yield. Gary is an Indiana boy who once led IT for the largest Democratic political direct mail company in the U.S. He left that to do real-time analytics software for commodity trading. In 1997, he founded Semphonic, an early digital marketing analytics consultancy that was eventually purchased by EY. In 2016, he authored "Measuring the Digital World" and founded Digital Mortar. Join leaders across Multifamily, Mobility, Technology, and Logistics to hear how global workforce changes can positively impact the Multifamily industry. These experts will share their insights on how multifamily operators can access new Enterprise business demand without additional risk. Understand the buying behaviors of Fortune 500 companies when it comes to sourcing and selecting apartments. Are you doing all you can to maximize this channel? Come learn how to access this new demand in the most efficient way possible. The multifamily industry is currently a $175 billion industry and growing at 5% every year. There are millions of people across the US conducting research every month, each trying to decide on which apartment to call their next home. Renters have greater demands of the communities they live in, making first impressions more crucial than ever to converting shoppers into residents and filling vacant apartments. An apartment community must rank well on local search and review-based sites to even be found. Apartment homes and common areas amenities rival five-star hotels. We embrace pets, encourage social gatherings and promote philanthropy. At this point though, can amenities be taken to the next level while still providing a positive return on investment? The answer is yes, but the answer won’t be found in the latest technologies, stunning design or personal experience. Financial amenities – we aren’t talking concessions here – are designed to enhance the overall affordability of apartment living and improve financial standing can be the game changers for our industry. Today’s renters are facing tough financial times due to student loan debt, higher living costs and unexpected expenses and are attracted to ways that help alleviate some of this financial stress. By looking at and gaining a better understanding of the renter’s economic mind, marketers can achieve a new competitive edge. Just ask yourself: When was the last time you paid for something in full, up front? Smartphones are paid in installments. We subscribe to monthly clothing and food deliveries. Monthly fees for Netflix and on demand exercise, no problem. Multifamily is the epitome of the subscription economy, as renters subscribe to a place to live. So why do some elements of multifamily, such as security deposits and move-in costs, not follow this model? What better way to learn about how Marketing Directors effectively market a lease up to success than by listening to the questions that they have for their peers? Join 4 very experienced Marketing Directors engage each other in questions that they want to understand better. Each Marketer has been added to the panel for their leadership in getting multiple lease ups to achieve success. They have implemented creative and innovative approaches to help the speed and price optimization of the assets they work with; and we are getting into their brain. Let's hear them trade their secrets. Please join us for the annual AIM Video Awards to see some of the greatest videos in multifamily. Bring your own questions and campaign goals to get help with maximizing results. Everything is on the table - rich media, keywords, leveraging third-party sites, maps, geocoding, query strategies, voice search and home speaker strategies, structured data markup for AI ands on-page optimization will all be on the table. Ratings and reviews are deemed one of the go-tos as a prospect looks for a new apartment home. They are looking for authenticity in how a community responds. They want to know the community they are considering takes pride in its customer service. And by the time a review is posted, the reviewer has often tried to resolve their problem with the property directly. Online reviews are a customer service problem that has turned into a PR problem but that doesn’t mean it can’t be resolved. Today’s security deposit refund practices lead to disputes between residents and community. Filled with frustrations that they didn’t receive a refund or that they were ‘nickeled and dimed’ for damage to their apartment home, renters often turn to rating and review sites and social media. These negative reviews create a sense of poor customer service to future residents. Tactics like lease insurance, streamlined move-out practices and comprehensive maintenance programs can disrupt the disputes and reestablish a sterling reputation. By disrupting disputes before they can even become a negative review provides marketers new promotional opportunity. Just imagine your review sites filled with positive – and authentic – reviews about why residents love living at your communities instead of having to battle negative reviews about a move-out? Very few marketers are psychologists, yet as the multifamily industry continues to grow and evolve, more marketers are exploring consumer behavior and working to identify strategies that will trigger positive emotional responses from their customers. Today’s top marketers will gain their marketing edge by tapping into their psychological know-how. In this session we’ll examine the science of behavioral psychology and factors that can influence human behavior, explore the link between psychology and marketing and uncover the triggers that drive consumer decisions and learn what can (and will) make an impact on our marketing plans for years to come. Discover how to shift your marketing efforts from traditional tactics into psychologically superior plans you can easily execute on. Operant Conditioning, Sensory Marketing and Emotional Intelligence are all common applications in the world of psychology, but we’ll learn how to leverage and maximize these techniques for every part of the multifamily marketing funnel. From websites to on-site tours to your leasing team to printed collateral, brand vocabulary and popular tech tools, like chatbots, we’ll review how to elicit more authentic engagement from your prospects and residents while building a more loyal and humanized persona for your brand that will last for generations to come. See real examples of how well-known brands are utilizing psychology tactics to increase their revenue and view practical applications of these same strategies being deployed successfully in multifamily through promising data and interesting case studies. Will Automation End Leasing Agents? Experienced owners say that the self-service leasing model has a higher conversion rate than the traditional leasing agent model. Multiple companies offer prospects the option to tour units without a leasing agent. New AI promises to handle inbound inquiries without any human voice, and to answer and respond 99.5% of the time. AI for bookkeeping has already been developed. Chatbots that respond to service requests are already in use. With 3D visualization, searchers can tour a property from their desktop and search, compare, tour, apply and sing your lease before ever having to step foot in your new home. How much would you or your investors save by reducing one FTE at each community? Could service actually improve in the process? Are you getting frustrated with high turnover and the need for persistent training in property operations? Let’s gather to discuss the impact of automation on the leasing agent’s role in the future, and discover the extent that automation is about to change multifamily operations.